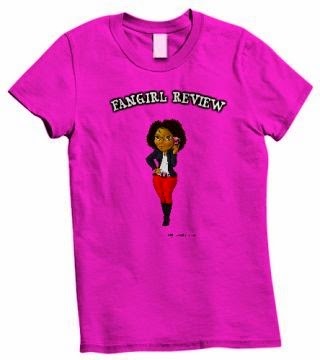 Fangirl Review: MARVEL COMICS INTRODUCES “AVENGERS K” ADAPTED FROM ORIGINAL KOREAN SERIES! 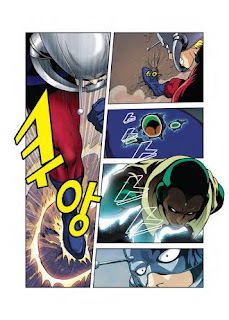 MARVEL COMICS INTRODUCES “AVENGERS K” ADAPTED FROM ORIGINAL KOREAN SERIES! Blockbuster Korean Manhwa Available in the United States for the First Time Ever. Classic Marvel tales told through an exciting international lens! For the first time ever, the classic origin of Ultron presented as never seen before in a new dynamic style! 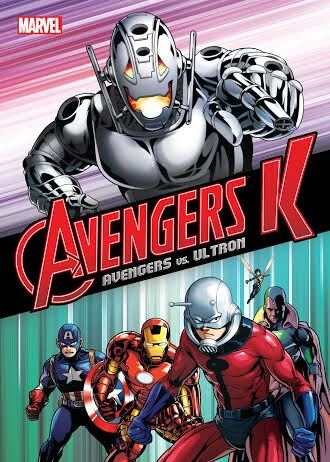 Adapted from the classic Avengers comics, Ultron comes to life in the traditional South Korean style of manhwa comics. Today Marvel is thrilled to announce AVENGERS K, the first in a brand new publishing initiative that will enlist an untapped pool of international talent to bring these exciting manhwa adaptations to English speaking audiences! “I am thrilled to introduce this brand new comic, AVENGERS K, to a whole new audience,” said InSu Seok Editor-in-Chief, Daewon. “With new panel construction and the use of exciting colors in manhwa style this is a reinvention of Marvel’s most popular comic franchise in a daring new direction.” Scientist Hank Pym sets out to create the world’s first artificial intelligence. Instead, he creates a monster. Enter Ultron! But one diabolical robot isn’t enough: When Ultron in turn creates the Vision, the Avengers are really in trouble. Together, the pair is poised to destroy the Avengers — and the world. But wait! Who is the Bride of Ultron? What happens next is a tale beloved around the world — with a story telling flair distinctive to a South Korean style! The first title in a five book series, AVENGERS K presents Daewon C.I.’s manhwa original Korean content that reimagines one of the most historic Avengers stories of all time for a whole new audience available now for pre-order. The age of Ultron has arrived in an all-new 168-page oversized format designed for all fans of the manga, manhwa, and the Marvel Universe. This coming May – Avengers assemble for AVENGERS K!